After months of studying feedback from our users and many rounds of user testing and revisions, we're proud to release our new and improved interface for Thrive Architect. In this post, you'll find a quick tour of what's changed and what has stayed the same. We've made optimizations to Thrive Architect, which affect the performance. As a result, you'll find that things are just a bit snappier and faster than before - for example when switching between style panels or switching between different elements on the canvas. We've also spent a lot of time learning from your feedback and made changes to the UI that make it easier to use. Operations like going from editing the style of something on the page to adding a new element or loading a landing page template are now more convenient. Overall, you should find that after a few minutes of getting used to the new layout, you'll experience a smoother and more efficient workflow than in the previous version of the plugin. None of these things are new things. The difference is that before, everything was crammed into the left sidebar. This meant that you were sometimes several clicks away from what you wanted to do, because you'd have to click to "switch modes" in the left sidebar. What hasn't changed are the styling options on the left hand side. You'll still find the same options in the same places there, so the re-learning for the new UI is minimal. If you'd like a more detailed overview of all the changes in the new user interface, check out this article. If you update Thrive Architect or Thrive Leads to the latest version, you'll find the editor interface updated. Give it a try and let us know if you have any feedback or ideas about how we could further improve it. Because this is a completely new version of the Thrive Editor, some options (such as the text editor bar) might not appear if you're using browser caching. Don't panic :) A quick hard refresh should do the trick. Click Ctrl+F5 (PC) or Cmd+Shift+R (Mac) and reset any caching plugins. How can i change my ordinary page to landing page with the new UI? Just click on the little cloud icon in the right sidebar. That takes you straight to the selection screen for our templates. Love your drive to constantly improve. While I am sure messing with a winning formula (here: the UI) is a bit scary, done correctly, it can create wonderful results. Thanks for the news. Looking forward to trying it out! Thank you for your support, Trevor! I’d suggest just moving the mobile optimizations options into the empty space on the right (#2) tab. I know that anyone editing on a smaller screen would appreciate the maximum amount of canvas they can work with… Now reduced further by the right and bottom bars. Thank you for the suggestion, Derek. The horizontal space available is exactly the same as it was before, since we made the left sidebar narrower by the exact width that the right sidebar adds. Still the argument of Derek is valid. Maximise edit space. I agree with Derek. It was a great opportunity to increase valuable editing space. I shan’t be using it until at least the first bug fix. TA is a great idea but so bug ridden. I had to laugh when my ten year old asked if TA was still in beta! That’s quite a stretch! What other plugin of this type is as robust, offering as many features, geared for conversions, and is updated as frequently? Exactly! None. I would suggest if you and your 10 year old don’t like it – Stop using it! + nice teasing about future functionalities, can’t wait to see it! Thanks for these continuous improvements, Thrive tools, especially Architect, totally changed the way I build websites. Hi Shane, I don’t understand, won’t this plugin become redundant when you release the upcoming Thrive Theme Builder? Personally, I’ve been holding off buying membership until Theme Builder arrives – when is it due for release? Thrive Architect will still be the tool you use to create your content. Thrive Theme Builder will be for creating the theme, which is basically everything “around” your content. Thanks, Shane. p.s. Your videos are the clearest and easiest to follow that I’ve encountered. Well done! Thank you for your positive feedback, Kevin. Just to clarify – no idea yet on the release date of the Theme Builder? Thanks! We don’t have a release date for the theme builder yet. Do you have a release date yet for the Thrive Theme Builder? Hi Shane, First I echo the praise for consistent improvement. You guys walk your talk…so bravo! Will the Theme Builder be able to “take over / overlay” a previous theme such as Squared or Performag? It will act as the theme itself. It’s not a plugin that overrides the theme, but a WordPress theme that you activate instead of your current one. Thanks for this clarification Shane. Like Kevin, I was a little confused as to whether Thrive Theme Builder would replace Architect. I’m totally in love with Architect and how you’re so dedicated to continuously improving and keeping your products up to date. I can’t wait to try some others too. And your videos really make you stand apart from the rest. They’re just so helpful! I’d love to see an option to use some of your landing page templates to build “home” pages in Architect but I guess that will come with the release of Theme Builder. Yes, with the Theme Builder, you’ll be able to style all parts of your website in a similar fashion as with Thrive Architect. It will still be two separate products, however, since we are building it in line with how WordPress is meant to be used, with the theme taking care of theme things and Thrive Architect taking care of content related things. Think of the Theme Builder as a Beautiful Candy Wrapper (Your Theme) and Thrive Architect as the Candy Bar (Your Content) inside the Beautiful Candy Wrapper. Both important to each other but both stand alone parts. I know it’s corny but that’s how I think about it. Mmmmmm Candy! lol Good metaphor Monty, thanks. Excited for the changed UI, but SUPER excited for the additional teaser functionality Shane led on about. Awesome! I’m really happy to see this positive feedback, Jay. You guys rock, this is the best page builder ever! One of these days I’ve got to use some of this amazing stuff! Very cool! Can’t wait to try it out. Just used the new Thrive Architect. Really nice. It takes a couple minutes to get used to, but I like how you’ve streamlined things. Also, it’s definitely faster. You guys rock. Great update. I’ve been with you since the beginning and I can’t imagine using anything else. I also love that you’re constantly updating. I have no suggestions. Every time I think of something you have an update the next day addressing it! Keep up the good work. It is appreciated! Thank you for your encouraging comment, David! Just about to start using thrive, but this will definitely make things easier to use. This is awesome. These improvements will help us keep making necessary changes to our site … as we work on making our site more user-friendly. So, thank you!! One thing I have always wished for is a global setting for font, font size, and color for multiple headers levels (H1, H2, H3 and H4 etc). Is this something you can add? Thanks a lot. I just love Thrive products so much. Thank you for your comment, Felix! Regarding your suggestion: on landing page templates, you can go to the settings icon and click on “global” to access page-level font settings. In the Theme Builder we are working on, this will also be available on a site-wide level. I just downloaded the update and tried to edit my new post. The new interface is great and really intuitive. Absolutely love that I can move the in-line edit text options bar anywhere. Overall – fantastic improvements. Thank you for your feedback, Barbara! I’m glad to know you like the improvements we’ve made. So I can’t change the side my control panel is on? I preferred to have it on the right side. There’s no option to switch editor sides in this layout, sorry. Nice work as always, Shane – thanks. My Thrive membership is hands down the most valuable (and irreplaceable) set of marketing tools I use. Thank you, Matthew! That’s really great to hear. Definitely, I like the spread out of controls to bottom and right side strip. Also, Inline editing being powered up with smart font setting bar is top notch. One of the problems when developing a SPA webpage is moving up and down – got to give Elementor credit, their Navigator popup really works well – what does the same for Thrive Architect? Thanks for your feedback, Jack. We have a feature on the roadmap that should make navigation on large pages easier. Love the new layout, much easy to use, But where is the text format. that has disappeared. ;) could you please put it back. Please make sure to update to the latest version of the plugin and then refresh the page if the inline text options still don’t appear in the editor. Great work. Looks really good, but I’ve got one problem after the update. When I click on a paragraph or headline, it doesn’t show the strip where you can change text-options such as bold, italic, alignment, etc. anymore. Is that a bug or can I find it anywhere else now? Thanx for your incredible work anyway. Thank you for your comment. Please make sure to update to the latest version of the plugin and then refresh the page if the inline options don’t appear in the editor. I like the direction here! I’m struggling though… can’t seem to find the “add header/footer” elements. Did they move somewhere else? They’re not in the templates/symbols section either. You can add headers and footers in the “global” settings, accessed from the gear icon on the right. Super easy the new interface! I like it. Thank you for your work! Greetings from Vienna. Thanks for your feedback, Albert. We’re working on adding a keyboard shortcut for the elements menu, to eliminate a click in that process. looks very good and clean. Where is the “change landing page” option gone? You can click on the little cloud icon in the right sidebar to open the template selection anytime. That is also what you can use to switch from one landing page to another. Thanks Shane! I really enjoy using Thrive Themes. I’m not a techie type person and you keep making things easier for me to use and just focus on being creative! Thanks for your comment, Jim. I’m happy to see you like the changes we’ve made. And yes, I also see part of the editor’s job as “getting out of your way” to let you do your work. This looks great. What I’m really desperate for though is the theme builder. Any update on it’s release – even a rough timescale would be helpful. It’s currently in alpha testing, but we can’t provide a clear ETA yet. Bravo! Excellent changes, each and every one. Please make sure to update to the latest version of the plugin and hard refresh the page if the text options don’t appear. There’s a yellow box with instructions on how to do so in the blog post above. Hi Shane, very intuitive changes, nice work. My overworked mouse says than you! Wow! I have to say some of the best UI changes to date. Thank you for your continued commitment to Thrive Architect… STILL the most important WP plugin on the market. Hi Shane, where do I revue my changes? Great job of show & tell. Short, sweet & to the point. I can see that a lot of feedback and need, use & application went into this update. Looks great! How do you exit out without saving? I only see “save and exit”. You can save without exiting by closing the browser tab (you’ll get a prompt when you do this). We’re working on a major improvement to the save/publish/preview part of the editor. It is clearly faster now!! And it’s more user friendly. Very intuitive. That’s great to hear, Len. Thank you! Where is the “preview” link now? Click on the “eye” icon next to the mobile screen buttons in the bottom bar. Shane, I love it. It is more organic, intuitive, and clean, rather more minimalist and not overwhelming to have everything crammed on the left. You are doing awesome creation! Thank you. I must confess I have not upgraded to Architect on my site yet. I have been working on a major content deadline. I also do weekly webinars. I did not want to upgrade and then not be able to get my time-sensitive content stuck at the mercy of my learning curve. I just had soooo little time to concentrate on the mechanics of relearning. This change makes sense. I will play with it on my second newer site, use it as a sandbox, experiment and go. Thank you for this. Thank you for your comment, Donna! Awesome… Nice upgrades! Just keeps getting better and better! I’m happy to see you like the improvements! As usual, always forward looking and thinking about the customer/user and those who visit the c/u site. Thanks. Might be just me, but I kinda liked the old version better. Everything was on the left side, and on the left side only. Now it’s left, bottom and right side of my screen. I use a very wide screen most of the time and my mouse cursor is now flying all over the place. But if it had to happen…it had to happen ???? Thanks for your feedback, Bert! We could no longer make things work for things that are currently in progress, by cramming everything into the single space on the left. But I hear you and we’re working on further improvements to increase the efficiency of working with this interface, even on very large screens. Great update. Quick question: is it now stable enough for updating on production sites? Yes, this update is good to go. Thanks for always looking out for us Shane. I like the new Thrive Architect. It looks very clean and it is easy to work with. I generally like to work with Thrive Themes! Unfortunately I don’t have the inline text option visible. I have more websites and on all my websites is missing when I work in the Paragraph or Headline area. Do you think I have to install the plugin again? A hard refresh should bring it back. To do a hard refresh, hit CRTL+F5 (or command+F5 if you’re on a Mac) also make sure to empty all other caching options you might have installed. Looks and feels great, the mobile responsive sizes are the best! Thank you for your positive feedback, John! It looks really great. The thing I’d like to see are the saved templates showing a thumbnail of what the actual page looks like instead of a thumbnail of the original template used to create the new customised one. Thrive is excellent. Great work! Creating preview thumbnails dynamically is tricky, but we’re getting better at it. If we can make it work, we’ll apply this to template thumbnails as well. Looking great. The only thing I would suggest is that the scroll bar on the left hand side options is a bit on the thin side to grab it. Thicker just by a bit would be better to scroll between the options. A gtreat product thanks, has really improved my website to the way I have wanted it to look for some years. Thank you for your input, Steven! I like the new UI. Looks like things will be more easily accessible. Can’t wait to see what you have up your sleeves! Is the option for switching sides gone now? I’m not seeing it. Obviously, I can and will adjust but had gotten used to most of the options put over on the right side. Yes that option is gone now due to the 2 sidebars. I want that back too! :-) Really having a hard time always looking on the wrong side. I now have to switch left and right all the time. On a 27′ Mac that is a long way. ;-) Would be great if I could have all sidebars on one site (as a choice). One on top and the other below. The 4 new buttons on the right do not take up much space on my Mac. Agreed! As a right-hander i find it much more efficient having all the tools on the right of the screen. Thumbs down on that decision. Please add that ability back. I have countless sites I have been editing for years with it mainly on the right side. It really isn’t as easy as adjusting when you are right handed and use a touchscreen. I won’t be able to make this, or any future, update if this isn’t changed. When I started and everything was on the left, my arm was always blocking the screen. Almost cancelled my subscription until I realized I could move it to the right. Not sure, if it has to be static why it would be on left. Please fix so I’m not stuck in the current version. Great improvement in work flow! Making the text editing bar moveable was a smart move, could get in the way at times. Shane I wanted to ask you about making a template for online courses. It’s such a popular in demand topic. A tutorial showing how to set it up, with a membership pluggins as well, would help! Thank you for the suggestion, David! We will take this into consideration for future template designs and such. I am hoping the issue of the right side browser scroll bar sitting over the trashcan icon (for wider elements) has been addressed in this update. I am often unable to get to it when working on my mac. Thanks for your input, Anthony. Is this a scroll bar that appears on top of the page content rather then to the side of it? What browser is it, where you are seeing this issue? Thanks for always being committed to being the best! You guys really are the top of your class! I’m looking forward to working with these improvements and seeing the release of the ones you’re still working on. Thank you very much, Danielle! I’m happy you like the improvements we’ve made. Looking forward to starting using it! I was beginning to wonder what big things were happening behind the scenes and then boom this video comes out. Some new features are basic improvements and don’t get me too excited, but this one looks like a paradigm shift for you guys and I can’t wait to see what else you guys release soon. Nice work! P.S. I’m holding my breath to see the new theme builder. I never signed up for the beta, woops. This new layout has me even more exited for it. Question, does this new update affect the mobile view? Do I have to re-create my mobile pages? I’d prefer it if you changed the custom css editor so that it doesn’t extend over the whole width of the page. That way you can see the effect of your changes (when you click the tick icon) without having to close the editor first. I believe this is how the css editor used to work . . . and it was great! Thank you for the input! We’ll log this as an improvement for a future version. I am not able to view bar to center text, bold, italic, etc. How can show this bar? This is probably a caching issue in your browser. Please try hard refreshing the page (Ctrl + F5). That should solve the problem. I’m not a big fan of the new editor layout because the tiny add element icon. Regarding the “add” icon, we will introduce a keyboard shortcut for that soon, which you might appreciate. I like it Shane. However, from a users perspective, it’s a little cumbersome to navigate back and forth from across the page. It’s intuitively easier if the tools you use frequently are all in the same side. Constantly going back and forth from one side to the other could get annoying, and mentally you’ll battle that especially if you’re utilizing one tool bar for a good amount of time. Hopefully that make sense. Now, I say all of this as a brand new member not having used the tool yet. Getting ready to here in the next week, but I’m a UI designer and build around consumer behaviors. So this is just my first initial thought. I also understand the fact that it can get difficult with new tools coming aboard to keep cramming in one spot. However, the reason for tabs/drawers to keep things organized in their respective categories all in one place. Look at it this way…In a master bedroom, you wouldn’t put your common clothes you need in one dresser on one wall, and then another set of clothes in another dresser on a completely different wall across the room. You would go crazy going back and forth all the time every morning. ???? I would only put tools on the right side that aren’t used that frequent. And keep the ones that you will be touching consistently all together nicely organized. P.S. can you tell us when the new Theme Builder will be available? Really need this asap to help me getting started. Thank you for your input on this, Jeff! We are working on adding some keyboard shortcuts to add efficiency to the workflow. And we’ll think of other was to address these points as well. Look great Shane, I just checked it out. I am just having a little problem with trying to access the Inline text editor. Do I have to turn this on some where to be able to see it? Please try reloading the page or doing a hard refresh (Ctrl + F5). This forces the browser to clear the cache for the page you’re looking at and will bring in the text editing options. Thanks for pointing this out. This is most likely a caching issue, which means you can solve it by simply reloading the page. If that doesn’t do it, try a hard refresh (Ctrl + F5). This forces the browser to reload the page from scratch and that should bring in the text editing options. Please report any such issues you encounter to our support team. We’ll get them fixed asap. There have been numerous times I’ve wanted to update an existing content block template, but there doesn’t appear to be any way to do that currently from within the TA editor. So I’d love to see the ability to replace an existing template. (ie select from a list of existing templates when saving a content block as a template – with confirmation required). Thank you for the suggestion, Gary. The new interface looks great, but the issue i see is that now i’ll be moving my mouse (and eyes) from right to left all the time when jumping between the elements and settings. In the past it felt much faster having it all in one spot and less mouse movements. Thank you for your feedback, Alex. We’ll take this into consideration and see if we can make some more improvements to address this. + I noticed that a bunch of custom menus have been added to the menu feature – loving them – could you have a search magnifying glass added to each of them on the far right of a few of them? Really enjoying the changes. Keep up the good work! Thank you for the suggestion regarding menus. We’ll see what we can do. Thanks Shane, I’ve just played around with it and is definitely an improvement in my view. Make sure to do a hard refresh (CRTL or CMD+F5) and clear all other caching options you might have on your site. that should bring back the inline text bar. If not, please ask our support team to have a look. Looks very clean and tidy. I like the new placement of the mobile tabs for quick access since I use them quite a bit. 1. How can I exit the editor mode without saving? Before the update, when I clicked on the “Exit Thrive Architect” button, a popup asked me to confirm leaving the page. Could you please bring that option back? Sometimes I just play around with things that I don’t want to save. Plus when I edit a landing page variation during A/B test and I click Save and Exit, it stucks at loading the page. 2. I have a 1366px wide laptop that probably lot of other customers have. With the new sidebar on the right, the remained space now is a little bit smaller than the default wordpress content width. This for example breaks texts into more lines than it would look like on desktop size. It would be great to be able to adjust the width of the left sidebar, so we wouldn’t have to close it always to see the proper desktop appearance. Thank you for your comment, Andras! 1. Currently, the way to do that is to close the tab. You’ll get the same prompt and can choose to close without saving. We are working on a further improvement to the save/publish/exit flow, which I hope we can release in the near future. The URL parameter thing isn’t possible anymore. For technical reasons, we had to move the editor into the WordPress admin backend, so to speak. 2. The best solution for small screens is to zoom out in your browser. If I simulate that screen size, I like working at an 80% zoom, which gives me a more full working area again. Thanks for your reply! I see, but usually I don’t want to close the tab, but to go back to the page. We’ll see if we can do anything to further compress the sidebar on smaller screens. How do we center/bold/italics text. That ribbon bar seems to have disappeared and not sure where to find it? I’m glad you found the solution. If the inline text options don’t appear, it’s most likely because of caching (your browser “remembers” the old version of Thrive Architect instead of loading the new one fully). 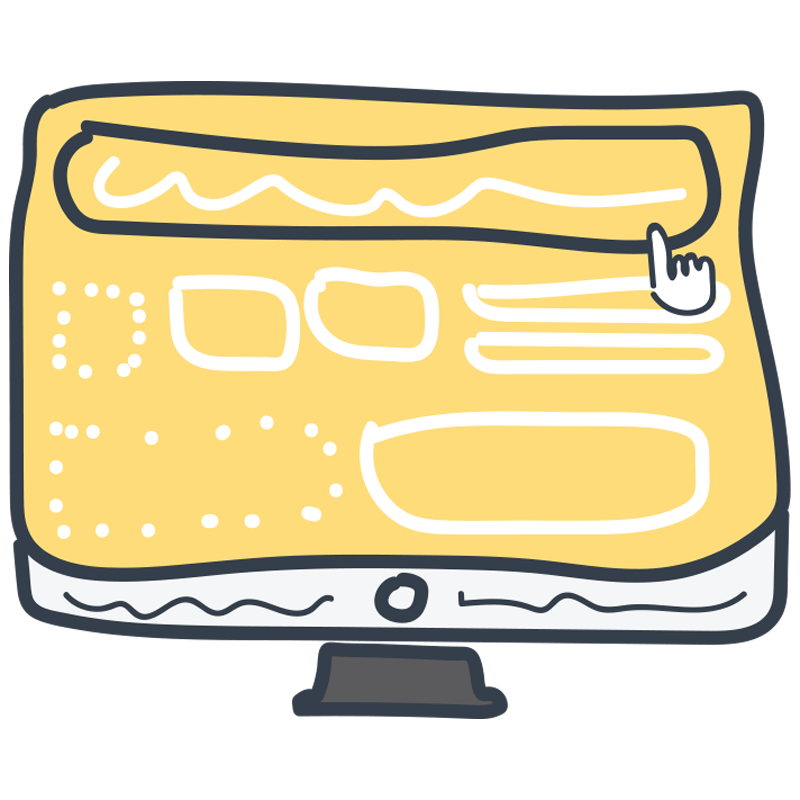 In the post grid, make the headings smaller and use the featured image in the post’s content box. Holding my breath in anticipation! Appreciate all the changes Shane, particularly the ability to place the text options just where you want it and the one click mobile view. Thank you, John! I’m glad to know you like the changes we’ve made. Hi Glen, I’m glad to see you like the update! However I am a Thrive theme user as well. 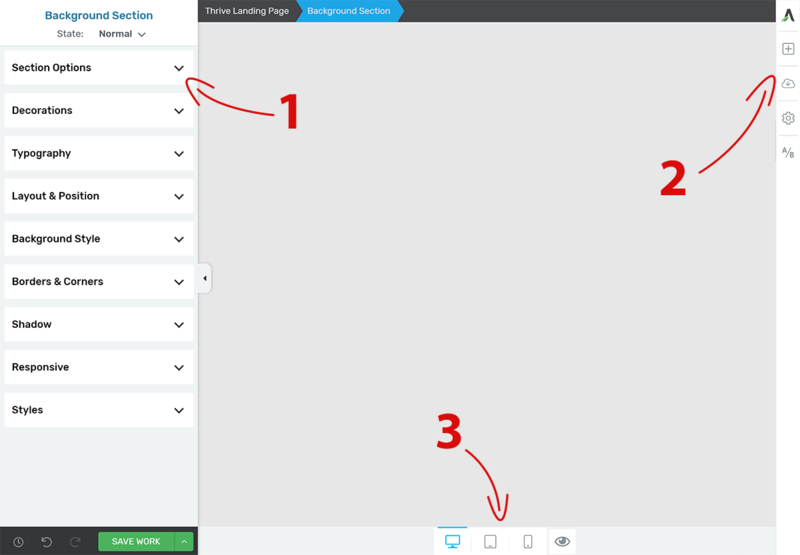 And whenever I have a page that was setup by theme’s shortcodes, if I switch over to Thrive architect to format/design that page, it doesn’t recognize the design made with those shortcodes. So I find that I have to either redesign the page from scratch, or just exit architect and keep it with the theme’s shortcodes. Is there a way that architect can recognize the shortcode setup and convert it over to the architect format? Or did I miss something here? Thanks! If you leave the theme active, the short codes will still render on the front end. So, even if you see the text of the short code in the editor, the correct thing will render in the preview and on the public page. Awesome work, Shane! Do you have a date for the Thrive theme builder? Really looking forward to that! We love Thrive themes! We don’t have a public release date yet, sorry. Love the idea of speeding things up , especially if you can boost the ‘saving’ speed. But then again Thrive saves so much time on other things I can afford to wait a bit. I really like the new look and how you have made it much easier with good flow. Thank you, Tom. I’m glad you like the changes. Love the changes! Hoping the new features will address needed Pinterest functionality for Descriptions vs using Alt Descriptions and Pin/no pin functions. Thank you for your comment, Keri. We don’t have any Pinterest related features in the works right now, I’m afraid. I ended up using the new UI before watching this video and found pretty much everything where I first looked for it. So I’d say you guys nailed it! That is great to hear. Thank you for this feedback, Oob! Some good improvements, Shane. I especially like the mobile/tablet buttons now at the top-level, as I switch between those frequently during design. One thing I’ve always found fiddly was accessing the preview link. It would be good to move this to the top-level or assign a hotkey, so it’s simpler to open the preview in a new tab or window. Thank you for your suggestion, David. You can now go directly to the preview by clicking on the eye icon next to the screen size switch. We are also working on a further improvement to make previewing even more seamless. I love thrive stuff and we use it on almost all of our main websites. Thrive made my job easier and fun… Thanks Thrive!! can’t wait to check out the newest update. Until today I was not very active here. So thanks for all the other members who gave you feedback. What I like most at the first glance is the switch for the mobile which is much more handy now. And thanks to you and your team for making this great tool even better. However, I have a problem. The text editor bar is still missing despite page refresh and clear cache. Even if it works, it will be a nuisance to do that repeatedly. Surely the bug will be fixed, however, What should I do till then? Please contact our support team if you haven’t yet. We’ll get this fixed for you as soon as possible. When I first sawt he Thrive theme I was really impressed by your plugin, until I could not download your website theme. after all, I believe Thrive Themes its one of the best genius plug and the countdown timer it’s the prove for it ! Great improvements! 1 question: sometimes we have an issue with the tablet mode. It is only in the portrait mode and not the landscape mode. Sometimes, when we modified the tablet settings, it is not looking nice on the real tablet. When guessing what would be better for landscape, it is not that great in portrait… Could be something to add in the future? Thank you for your input, Tom. We’ve been considering adding another screen size to the option to account for a size in between desktop and tablet. I am currently working with it. The whole interface fits perfectly on my screen. I do have a bit of constructive feedback. When adding a header please set the default to H2 instead of H1 as I see the H2 beings used more commonly than H1. Thanks for your feedback, Fabian. I agree with your point about headings… but what you describe is already the behavior we have set in Thrive Architect. When you add a heading element, it should default to H2. If that’s not the case for you, I’d be interested to find out why. Just checked it today. It seems to be fixed now the default is h2. The incident of h1 happened when I just updated yesterday. I had to manually set it to h2 every time. I don’t know what you did Shane but you fixed it! I’m not finding the text bar options anymore, like bold, italic, headings, etc. They aren’t appearing, and the only setting that show up are advanced and template. I’m not sure what’s wrong, but what I’ve got isn’t what’s in the video. Where do I revue my changes please. It appears to have been moved. To preview the page, click on the eye icon next to the screen size buttons. To see revisions of your page, click on the clock icon next to the save button. Lean and mean, getting the job done, thanks! First of all, I think Thrive Architect is the best Landing Page Builder in the World and I did test everything even looking inside the code. However, I do have 1 thing and that might be only for developers but I would maybe use your Builder for more things than only Landing Pages if you would change the way things get added to MySQL Database. In Thrive, it does I think use this part of the database but also adds a second entry to wp_postmeta were you also find the metadata for all images. The database would get very big if everything has been a duplicate of the blogpost as now there are 2 data entries. This means a user should always use Thrive Architect to edit the content as this will not work in de WP Editor. I found that if I do switch to WP Editor all blog content could get lost as this will mess with the wp_posts table in the database and break the connection to wp_postmeta. I do not want to sound to technical, but I hope this is a bit clear. When it comes to speed and design I think this product is of an other level than the competition. There is no competition when it comes to design as this product is just perfect. But again, I also when developing for WordPress are big into my database and this was what I discovered. Maybe in the future have a look at it. Have a great day and thanks for the UI and UX perfection! Thank you for your detailed comment, Jan! Regarding what you see in the database, the reason for the “double entry” is to ensure that there’s fallback content when the plugin is deactivated. Whenever you create content with Thrive Architect, it goes through a filter and creates a “default WordPress editor version” of your content. This includes all text, images and basic formatting, but none of the Thrive Architect specific layout and styling options. This way, when you deactivate the plugin, you’ll still have all your content, just without the formatting and styling. And I really love how you made extra room for the mobile editing in the “footer”. This rocks! I had my sidebar on the right side. So everything I edited was on the right side. Now it is all left and I can not change it anymore. Regarding the sidebar switching: we decided to remove this option, mainly because of the internal cost of having it. Making the sidebars switchable adds considerably to the amount of testing and compatibility checking we have to do for each release. As a result, it makes development slower and more expensive and makes bugs and conflicts more likely. We feel that this is too high a price to pay for what is only a minor convenience in the product. Thank you for addressing this in detail Shane! I am a fan of ActiveGrowth and shipping so this makes total sense! Love the advances the team at ThriveThemes is making! I am glad you decided to leave it on the left side. That is where I use it and prefer it to be. I know everyone is different but I also understand your decision to make the change. From someone who has done much product testing, yes, it can get costly and time consuming. Everywhere you can save time and cost, and make a more efficient program, is a plus to the consumer. Thank you for the improvements! I initially was trying to user the new editor via Google Chrome, and it wouldn’t display correctly. I switched to Safari and it seems to be working fine. Thank you for your comment. This could be a caching issue. If you load the editor in Chrome and do a hard refresh (Ctrl + F5 or Cmd + Shift + R) it should work fine. I absolutely love the changes! Great work! Fantastic. I haven’t been using it for long, but these are exactly the UX issues I had run into. You guys are amazing. I’m actually learning a lot from your marketing and support for your product so I can improve what we’re doing at an early stage. Thank you for your comment, Fred! I’m happy to hear that you like the changes and that you’re inspired by what we do. All nice and well that you are pushing out this new stuff but maybe you should do some more testing to find bugs before you roll it out. This is the 3rd time I got stuck after a major release. Learned my lesson, next time will wait to do any updates until I’m sure it’s working properly. I know you have a support forum for this but been waiting for 4 hrs and no response so my business is on hold again. This is not a hobby, these are my moneysites draining money because of this lack of testing and slow support. I’m sorry you’ve had this experience, Joeri. We invest heavily in testing, including beta testing with several hundred people before a release. Unfortunately, due to the self-hosted nature of WordPress and the unpredictable environments in which our products are installed, we can never catch every possible issue or conflict before a release. I’m not finding where to import landing pages. Can you point me in the right direction? It used to be in the Settings > Template Setup > Import Landing Page. Currently, you need to load a landing page template first, to be able to import one. We have an improvement for that in progress, to add the import option directly into the settings menu. Did this mechanic change somehow or it’s just a bug? That is either a bug or a caching issue. Please contact our support team to get this sorted out. Thanks. Oh! This makes life sooo much easier. Even small thing such as the Save & Exit option are really nice touches. Bravo! Love love love the tweaks to the interface! Great job all. (jonesing for what’s next for sure). Hugs&Blessings. MamaRed. Thank you! I’m happy to know you like the upgrade. I like the improvements, but when is it time to incorporate the Woocommerce because PootlePress and TA are not working well together. Besides that I love to use TA for the complete site. Thank you for your feedback! Woocommerce integration is something we’re looking at in the context of the theme builder we are working on. More awesomeness from the Thrive team! Thank you, this is going to make my workflow even smoother. When you have a landing page active, you can find these options in the “global” settings. Your new interface looks clearer and simpler. Thank you for your input on this. We will try to figure out a solution for this. thanks for the new updated features, it’s great to work with! But please, could you move the inline-text options to the right sidebar? Or even better, make it possible to drag it over. That way users can decide which state they prefer. Thank you for your suggestion, Oliver! I look forward to the new updates. Hello – I don’t see the Text Elements box now upon updating Architect to the new version? i.e. unable to Bold, change Text Color, Size, Add Links. Please advise? Can I use Thrive Comments in a page? You guys have always been great, but this is a huge swing and a miss. Logic is there, but execution and functionality isn’t. I’m no expert, but if you’re going to make changes, they need to be gradual. This is way too drastic. I spend more time watching my mouse go across a huge screen now just to be able to make a change. How can we revert back (or can we)? Thank you for your feedback, Tara. I’m sorry to hear that you don’t like the changes we made. We are working on including some keyboard shortcuts to cut down on the need for mouse inputs. I hope this will help address your issue. There’s no option to revert to the previous design as we don’t have the resources to keep 2 versions of the editor up to date and many of the features we are working on now cannot be implemented with the limitations the previous user interface presented. Thank You Shane and by this the team of developers. Much more intuitive. Good job! Hi Shane, thanks for the amazing video and developments with Thrive Architect. This is the reason I always recommend Thrive products to my friends and contacts. However, the only reason, I haven’t done away with my MacBook is because the drag and drop functionality of Thrive Architect does not work on my iPad Pro. Is there any way you can please have the ‘Drag and Drop’ feature work on the iPad browser? You spoke about responsive editing in this video, what about using a device like the iPad for editing pages using Thrive Architect? Thank you for your comment, Amit. We have not focused any resources on making Thrive Architect usable on mobile and touch devices. Our stance is that this is a desktop editing tool and anything that happens to work on a tablet only does so incidentally. I’m sorry if that sounds dismissive, but we have to prioritize where we spend time and resources. We want to focus on making this as good as possible for desktop devices. That’s great to hear. Thank you, Ken! Everything you covered on the page was spot on Shane. I was dreading changing to the left side of the page but it was all so intuitive. It felt weird for about 3 minutes and now I prefer the new layout out. So quick too. I feel that I can ‘play around’ with everything now. Great job. I’m just building my site again from scratch so this speed will be a boon to me. Change should always fix a problem or improve a series. Well done it’s a lot better and easier to use. You guys are awesome, I love how you are constantly improving things. This new update was a little daunting to start, but now that I am using it, it is so much easier to use and straight forward as you mentioned in the video. It looks very good! But .. I’m losing my text tool for every text element. It isn’t possible to make you text bold or cursief or align left, middle or right. Pretty good. I noticed it faster and now it’s easier to see what I’m writing. Congratulations guys, the improvement is great. Just now trying the new UI. I’ve also gone to WPress Gutenberg. Is that okay, or should I revert to Classic WP editor? *ALSO* In the new Thrive UI, I can’t see any way to EXIT from Thrive WITHOUT saving my changes. Is there a way to do that? I could save and then Revert, but that seems pretty inconvenient. Whether you have Gutenberg installed or not doesn’t make a difference to Thrive Architect. To exit without saving, simply close the browser tab in which the editor is active. You’ll see a prompt about losing your changes and if you confirm closing the tab, that does it. Love the new changes, Shane! I especially like the ability to move the text editor box. It was a real headache turning off my banners for Hello Bar so I could access it. Now I don’t have to worry about it. However, I was used to my parameters being on the right side of the interface instead of the left. Will there be a way to customize this like on the last version? Thank you for your feedback, Eric. Thank you for this update. So far, so good. Admittedly this is nit-picking, but for adding URLs (Ctrl+K), could you apply a tweak so that when the add URL box pops up, the “focus” is in the URL field. This would save us all an extra click to start adding the URL. Hopefully, this suggestion makes sense. The Landing Page cloud icon on the right is not visible for me. I only have the Add Element and Settings symbols. Please make sure that you are on a page, not a blog post. Landing pages cannot be loaded on blog posts, because there’s no good way to display landing pages in a blog index view. I purchased thrive architect after doing a migration for a client that was done with it.. now I also just became a thrive member which has access to all the plugins. I’m wondering, does architect come with the membership? Have I paid for the architect plugin when all I needed was the membership to get architect? Yes, Thrive Architect is included in the membership.